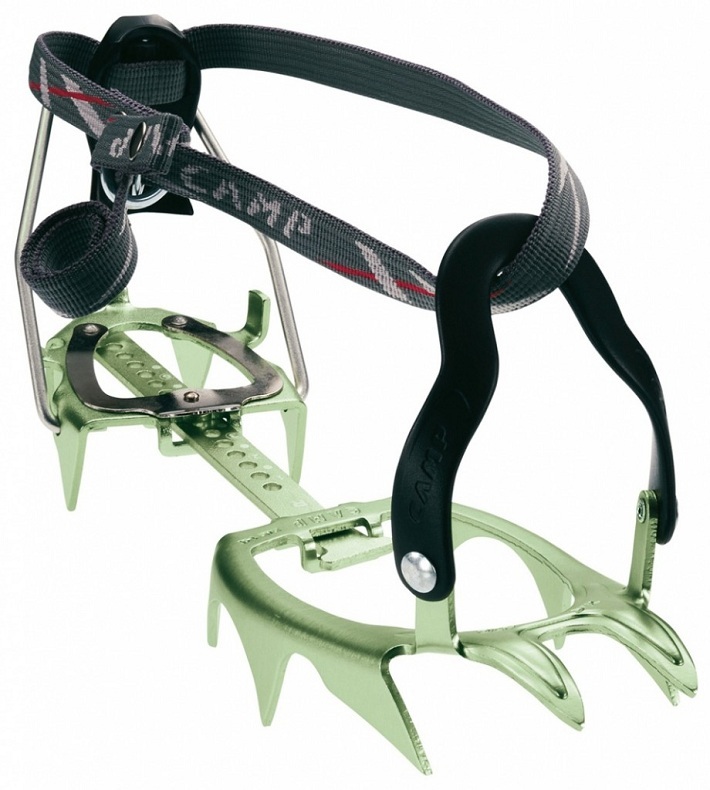 The CAMP XLC 470 is essentially the 390 with a toe bail that accommodates more boots. This means you can fit it onto boots with oddly-shaped or missing toe welts (looking at you TLT7). CAMP also used boot-length adjustment mechanism that doesn’t require a screwdriver so lets you quickly adapt to your boot quiver. At the expense of a few ounces, you’ll have a crampon that easily adjusts to any ski boot or semi-rigid mountaineering boot. They will stay securely attached to your leg with the ankle harness and the heel tension can be adjusted on the fly. 3D pressed frame distributes pressure to increase strength and durability. Semi-automatic attachment works with any ski boot and most mountaineering boots. Tool-free size adjustment let you quickly adapt to whatever is on your feet that day. CC4U wear indicators let you know when the crampon is no longer safe. Optional Vibram® anti-balling plates help prevent dangerous snow buildup.